Yes, it is war again. My yearly battle with seasonal allergies has erupted again into violence. Violent sneezing, gruesome coughing and a river of tears and clear liquid pouring from my eyes and nose. I am sure many of you readers are fighting the same battle I am these days. For some it is worse in the Spring. For me it’s worst in the Fall. Well, like any good warrior will tell you, “knowing your enemy” is of critical importance to winning the war. And although knowing what these pollens actually look like (when viewed through and electron microscope) will not provide you any critical advantage, it will at least make you feel better about nuking these scary looking irritants with Claritin, Benadryl or whatever your favorite weapon of allergic destruction may be. 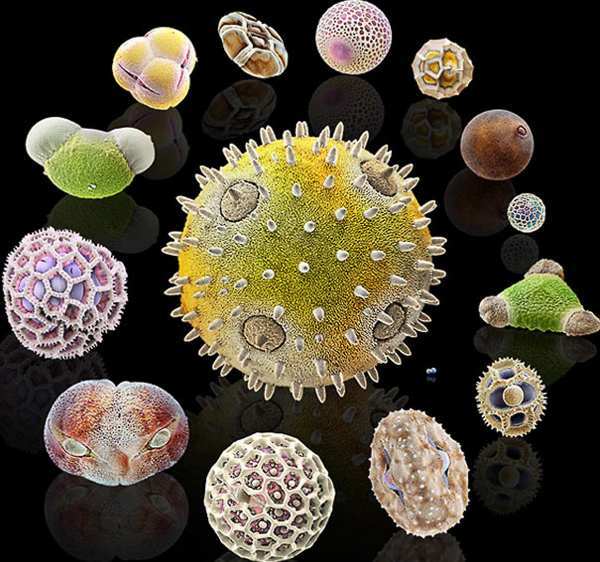 Grab a hanky and have a look at this interesting pollen slide show from the Telegraph UK. Yes, it is war again! I often wondered if I could move to another state where allergies were less, but soon discovered that once a person has environmental allergies they will find something to be allergic to no matter where they live. In response to this post about some people having it worse in the Spring and some in the Fall, unfortunately, I suffer at both times of the year. I’ve tried allergy shots for about two years to change my body’s sensitivity to pollen, but was not successful! It did help me learn my enemy. I found I was allergic to most things outside that bloom or pollinate and being that I love the outdoors I have learned just to suffer with it! I’m lucky my physician understands my allergy and we both have learned what medicines help me. Good luck to the approximately 35 million who suffer. i feel the same way that this person feels. the only difference i s that i get my allergies during the spring and the winter. sometimes i try to let it pass on its own but when i can’t take it anymore i have to take that good old benadryl. one day i hope that the doctors could come up with some type of cure for allergies and i will be the happiest person in the world.